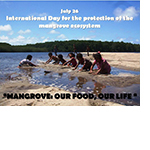 Since 2004, through the International ‘Redmanglar’ (Mangrove Network) – which brings together communities, organizations, academics, scientists and activists concerned with the defense of the mangrove forests – every 26th of July mangroves are celebrated by recalling their importance as a source of life, protection and support for coastal towns and communities, and their identity as a territory, traditions and cultures associated to them. Industrial activities such as shrimp farming, oil exploitation, large scale tourism, among others, have led mangroves and the communities they support to a critical point; threatened and endangered. 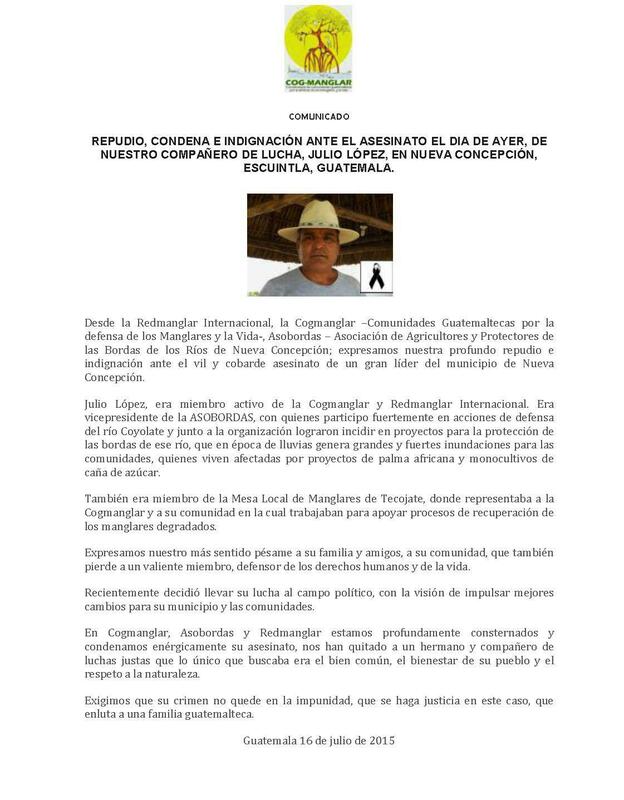 This year, in light of the recent murder of Julio Lopez, an active defender of the territories and the collective rights of his community and member of Redmanglar, we pay tribute to all those people who live on this important ecosystem and who constantly defend it from hazards and threats, giving their own lives to this cause. See the statement (in Spanish) here.